Our next fire marshal training London October course will be on the 17th Octt 2018. This course already has 12 persons on the course, so booking early is a must in this busy back to work month! Our fire extinguisher course London August is filling fast. This course runs alongside our fire marshal course so does fill up fast. The new London Fire Brigade training school is based in Park Royal. This state of the art centre trains recruits and full time fighters. 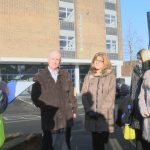 It supports LFBs other London Fire Brigade training school in Becton and also a number of regional centres. Its time to book fire training for schools London if you are having a term inset day. 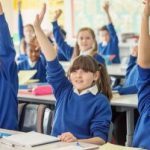 If you need to book ire training for schools London sessions, we are now taking bookings for the September term. Our fire marshal course London October programme takes places on 17th October 2018. The three hour session is an IFSM accredited course and also includes live fire extinguisher training. Our extinguisher courses London programme includes open and in house training. 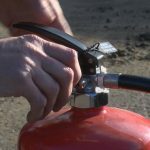 If you need just one or two persons trained, our open courses are an ideal platform for extinguisher training. Need more persons trained? Then book an in house course with a practical session, so all staff can tackle a small fire. 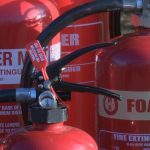 Looking for extinguisher training South London? 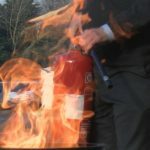 We hold open fire extinguisher training South London programmes every mint. 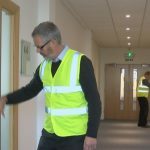 In addition, we also hold fire marshal and fire warden courses at the same venue. 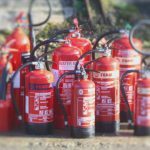 Our fire extinguisher training London options are: Open courses, in house training and also online training. So what is the best option for you and your staff?